Toyota Kirloskar Motor has launched the Etios Liva compact hatchback with new dual-tone exterior and some added features on the inside. The visual enhancements include a sporty integrated roof spoiler, a dual-tone contrast roof and pillars, an aggressive front grille finished in black, chrome fog lamp bezels, electrically foldable ORVMs and diamond cut stylish alloy wheels. 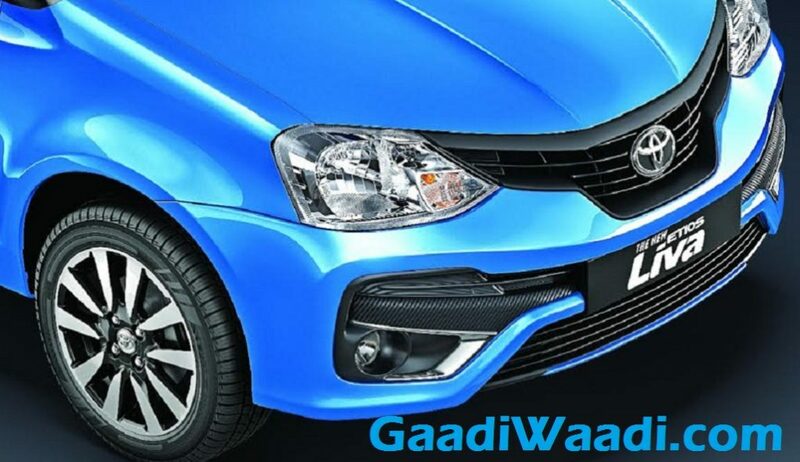 Available only in V and VX trims, the dual-tone Etios Liva is priced between Rs. 5,94,535 and Rs.6,44,861 for Petrol while the diesel variants are sold from Rs. 7,24,361 to Rs. 7,61,403 (ex-showroom, Mumbai). 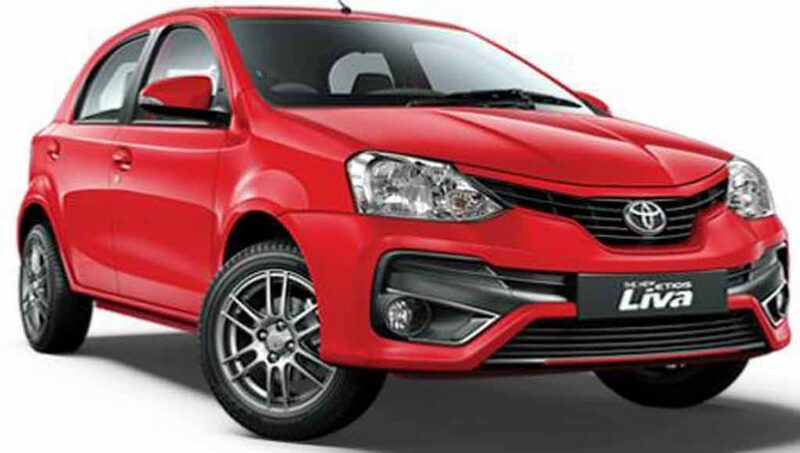 The new Etios Liva with dual-tone paint job is available in three exterior colors namely Ultramarine Blue, Vermilion Red and Super White. The interior updates comprise of piano black finish to the instrument panel along with removable headrests for the rear passengers and new Optitron combimeter. The Etios Liva is one of the safest affordable hatchbacks you can buy in the Indian market as dual front SRS airbags for both driver and passenger, Anti-Lock Braking (ABS) system and Electronic Brake-force Distribution (EBD) are standardised across all grades. To further strengthen the safety quotient, new ISOFIX child mounts are present in all variants. Each seat gets three-point ELR (Emergency Locking Retractor) Seatbelts while front seatbelts with pre-tensioner and force limiter brim up the safety package. It has prompted Global NCAP crash test organisation to award four stars in adult occupant safety for 2016. The Etios hatchback has been around since 2011 and it gave way to a sedan and later a crossover sibling in February 2014. The Japanese auto giant introduced its first dual tone Etios during the 2015 festive season and in September last year the facelifted Platinum Etios and Liva entered the market. Toyota has reported that the Platinum Etios has recorded steady growth of 7 percent in the period between October and December 2016. 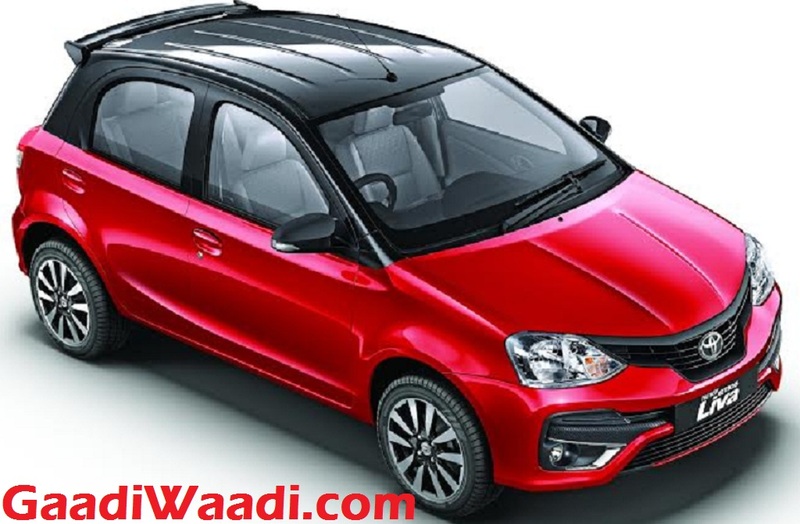 No powertrain revisions have been made as the Etios Liva continues to feature the same 1.2 petrol and 1.4 turbo diesel engines. The 1,197 cc DOHC four-cylinder 16V motor produces a maximum power output of 79 bhp at 5,600 rpm and 104 Nm peak torque at 3,100 rpm. The 1,364 cc D-4D diesel makes 67 bhp at 3,800 rpm and 170 Nm at 1,800 rpm. Power is sent to the front wheels through a five-speed manual transmission and so far no automatic is on offer.